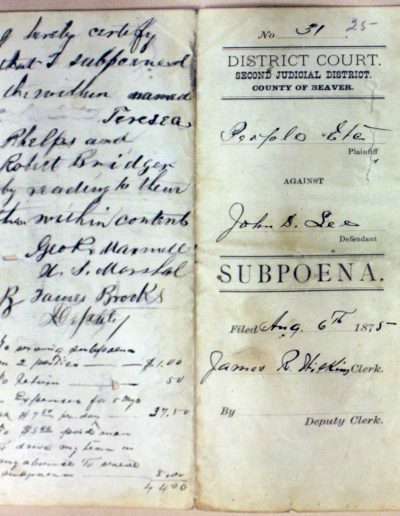 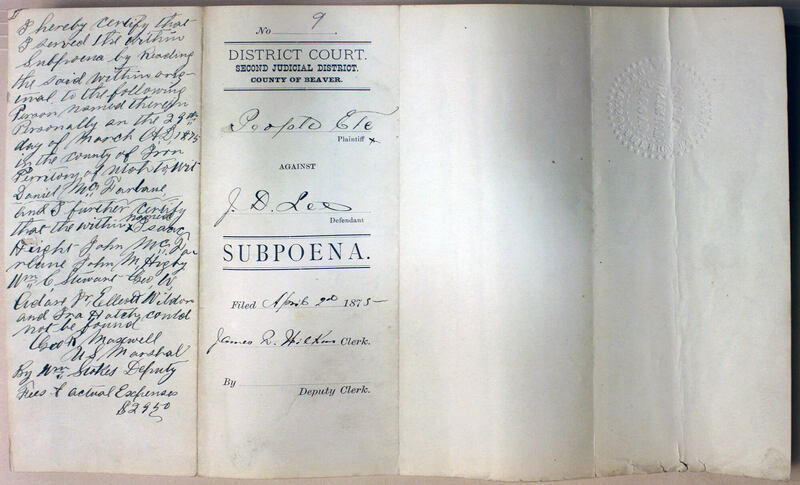 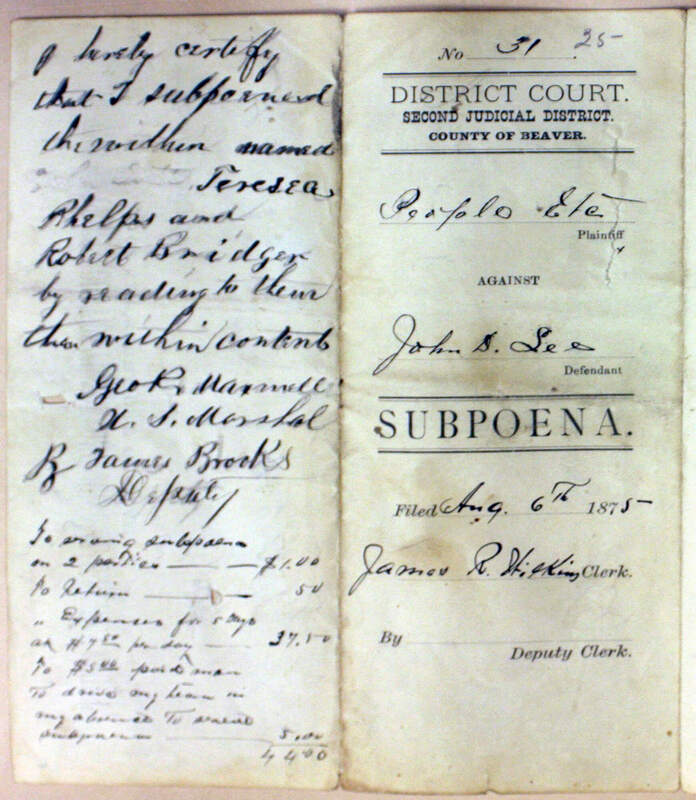 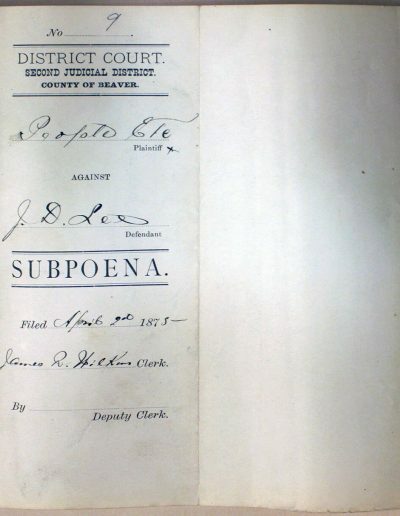 This section features a sampling of subpoenas from John D. Lee’s first trial. 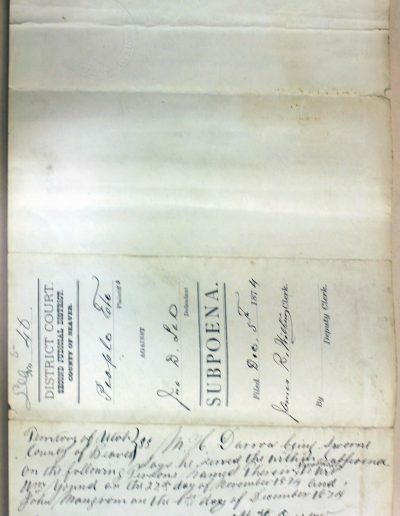 The documents below are arranged in order of the date of each subpoena, with the accompanying certification of service (written on the back side of the subpoena) immediately following. 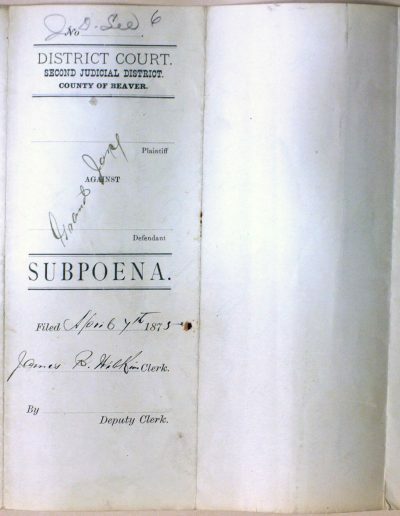 A transcript of essential information found on other subpoenas from that trial can be found in the subpoena chart here. 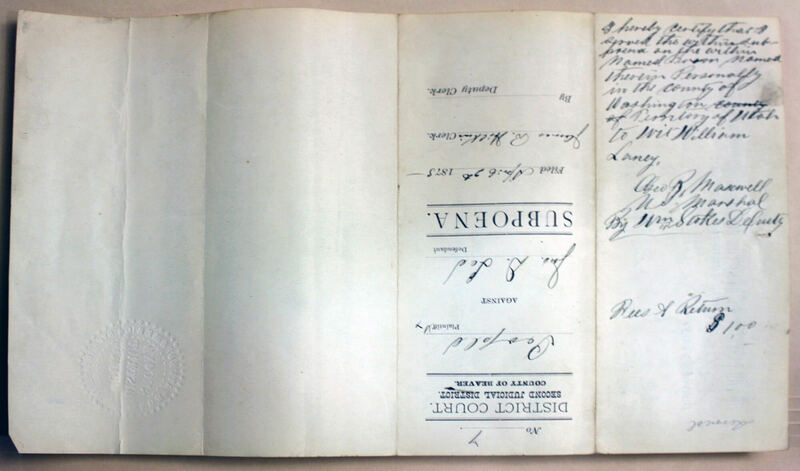 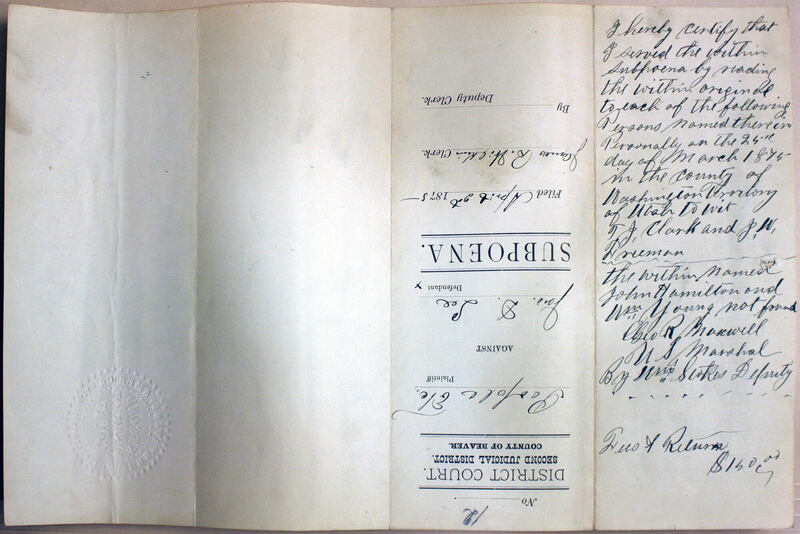 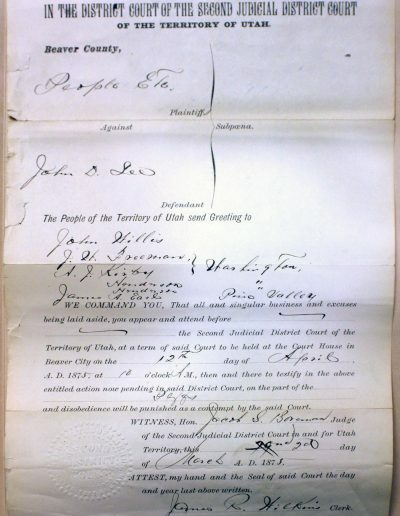 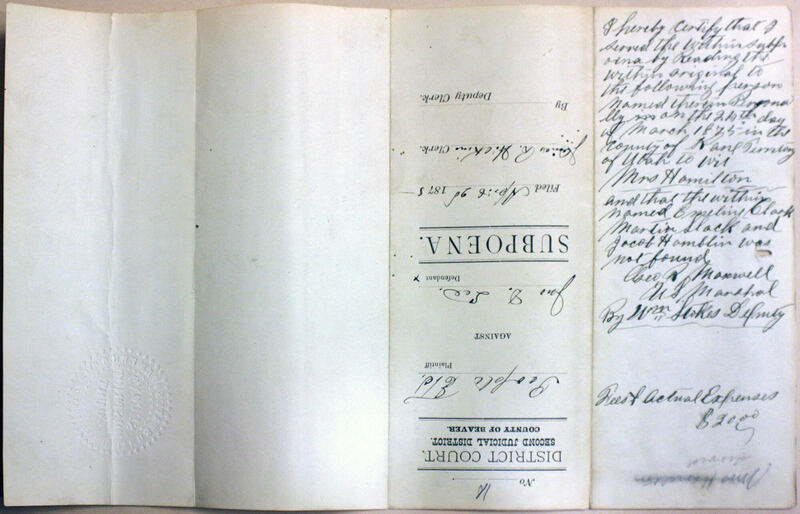 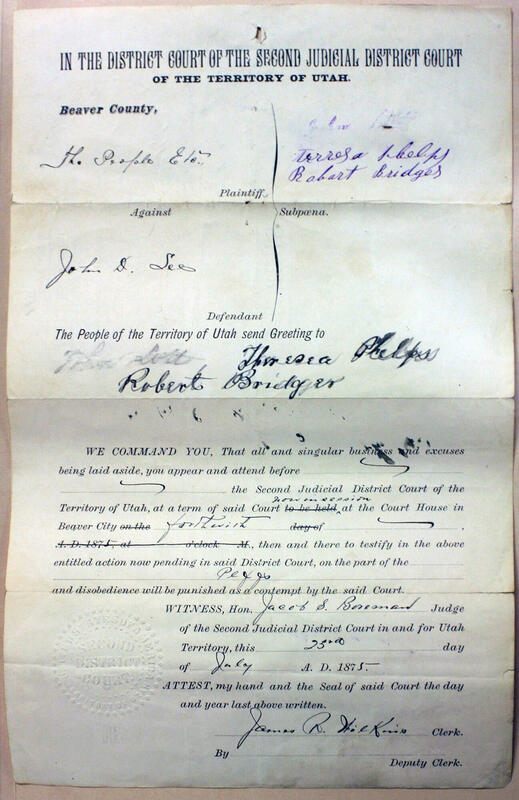 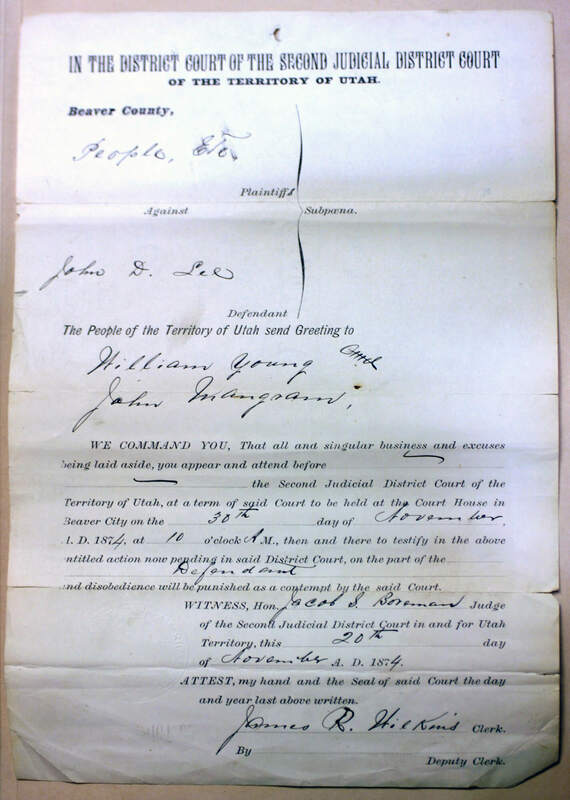 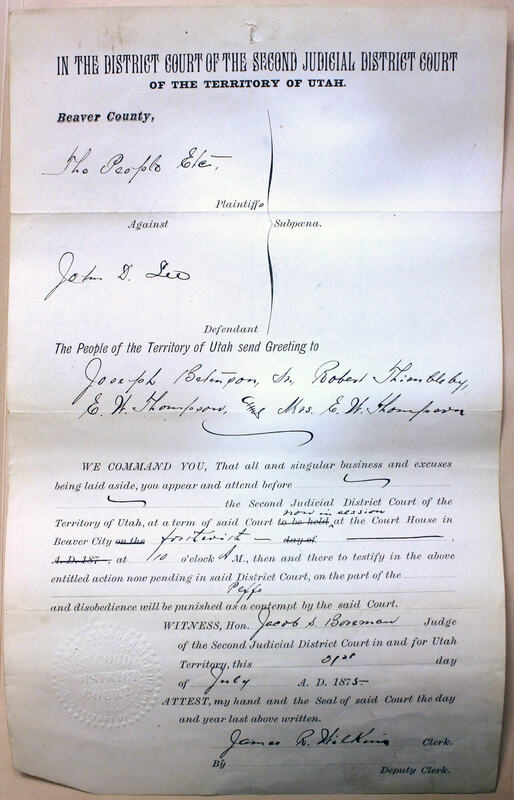 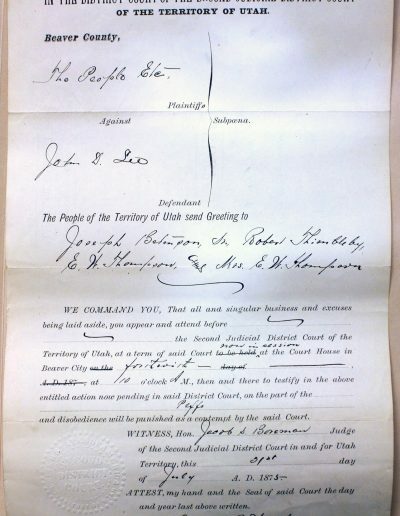 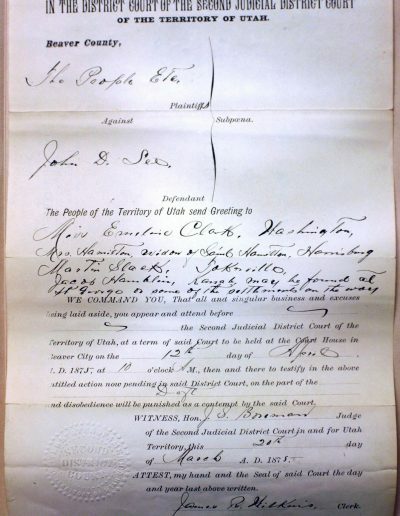 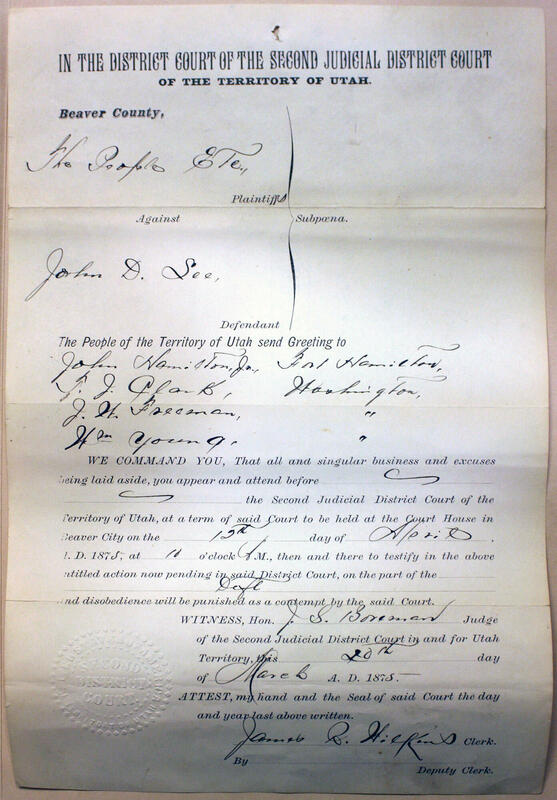 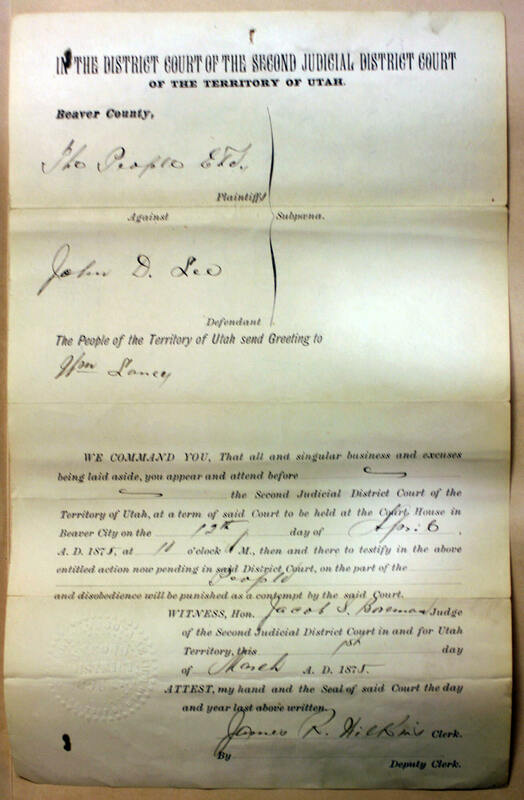 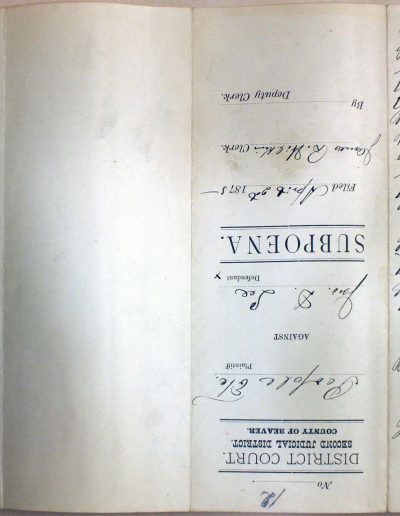 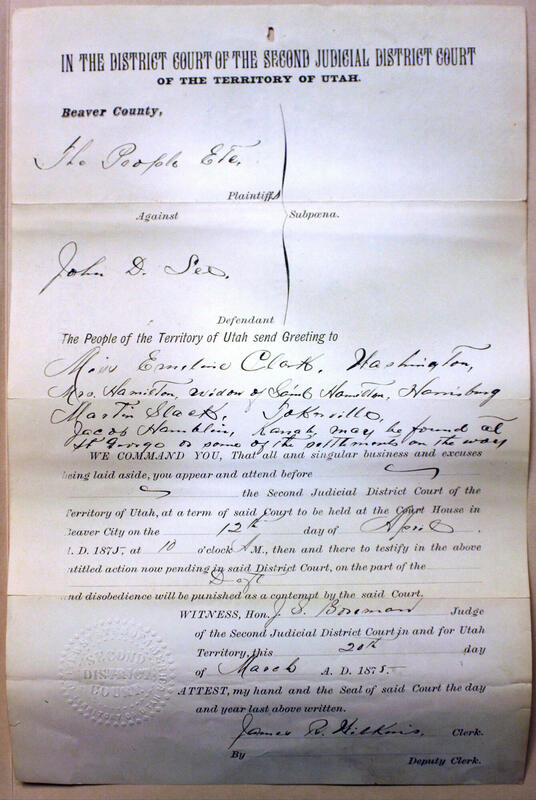 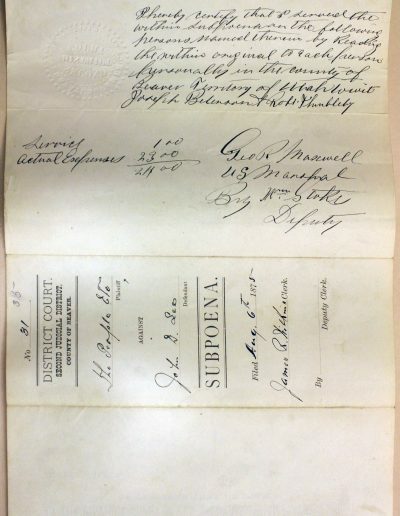 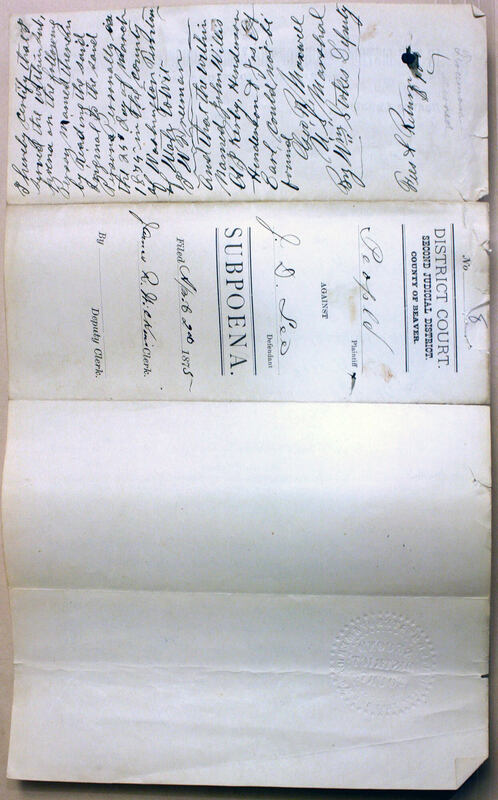 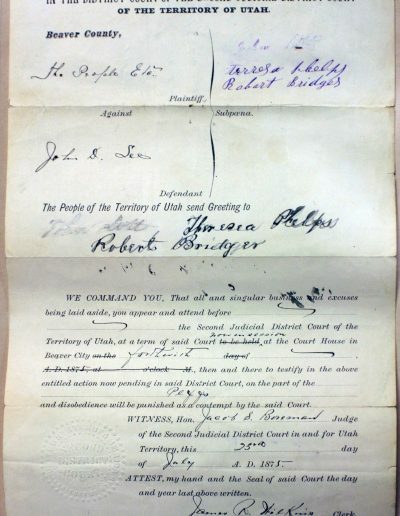 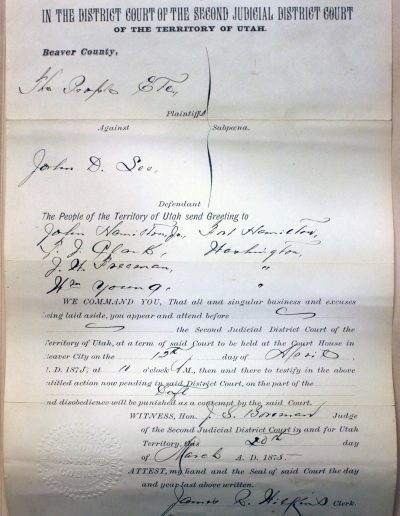 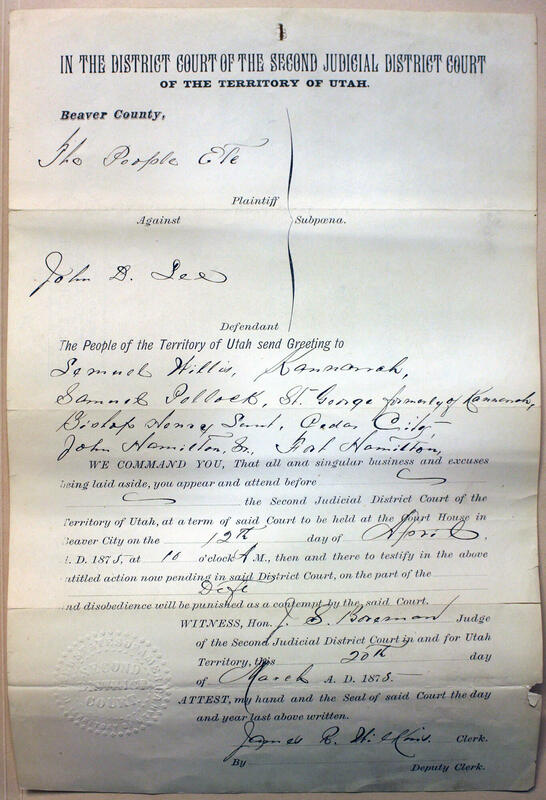 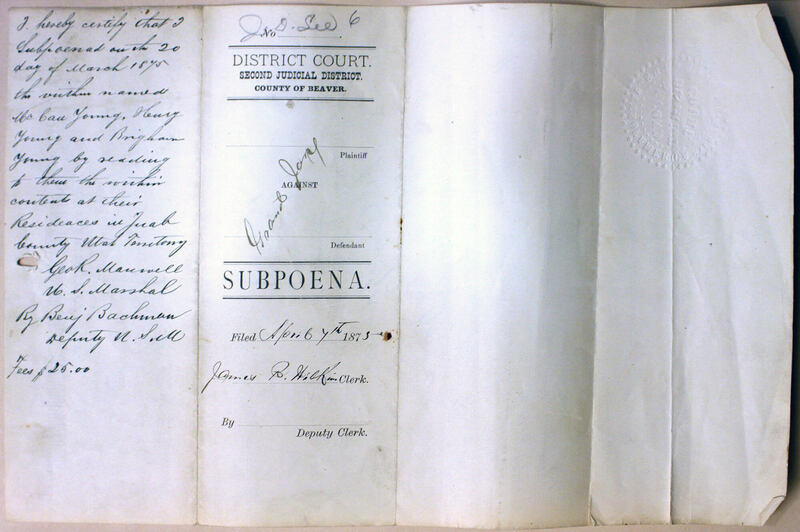 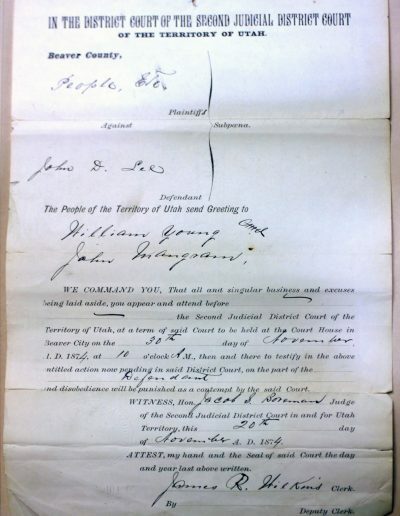 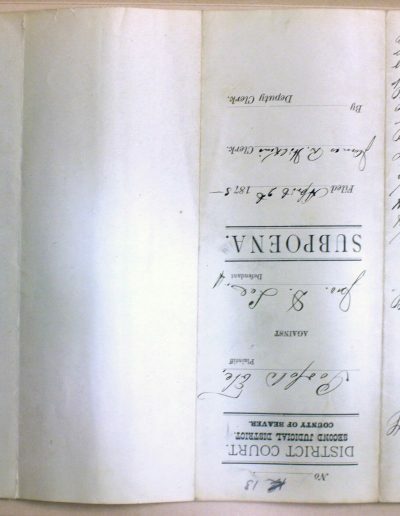 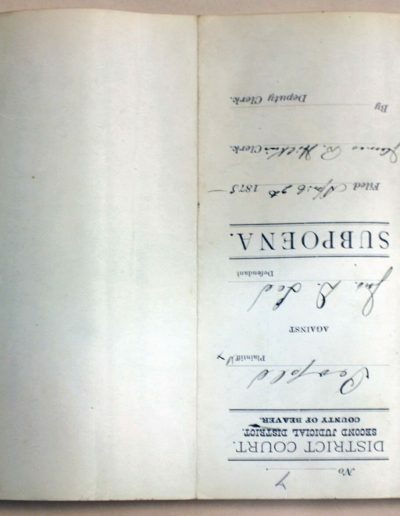 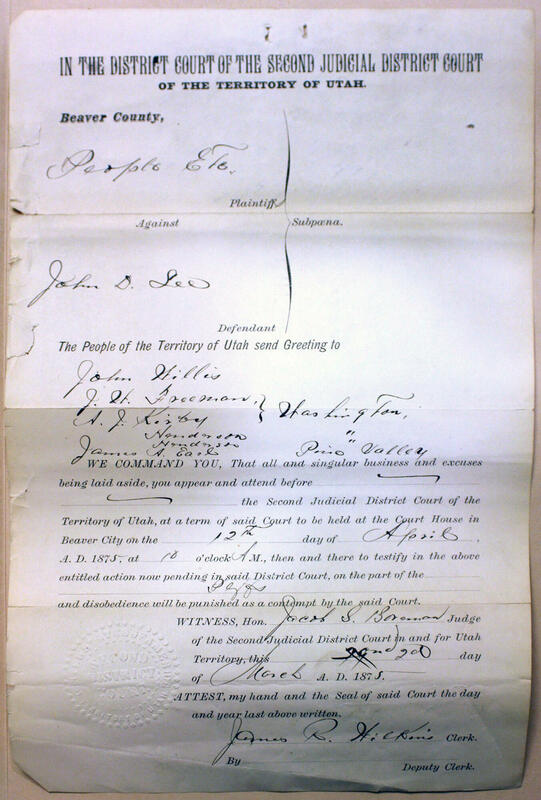 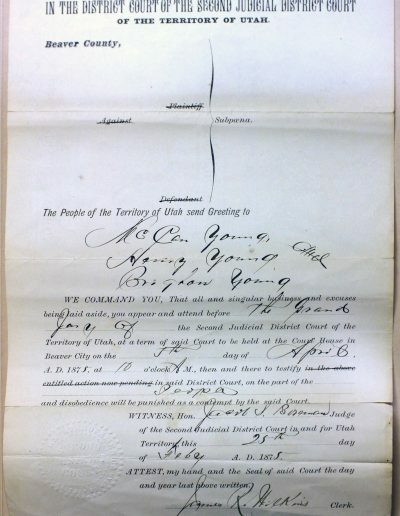 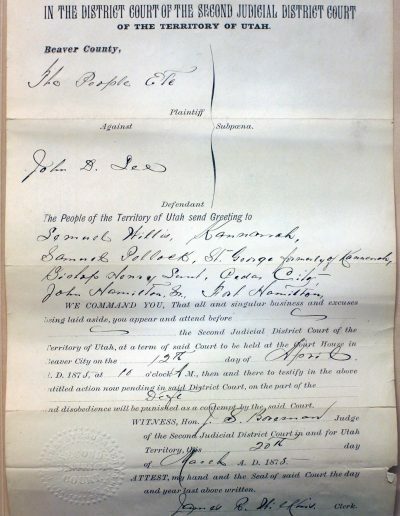 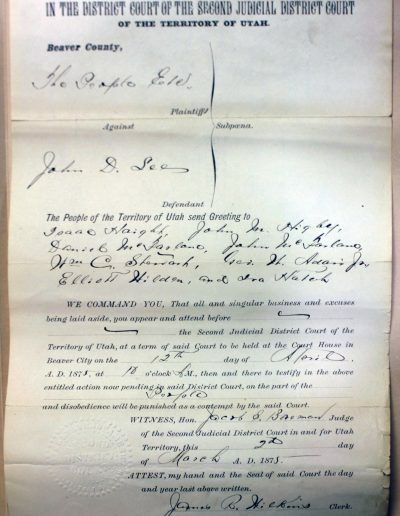 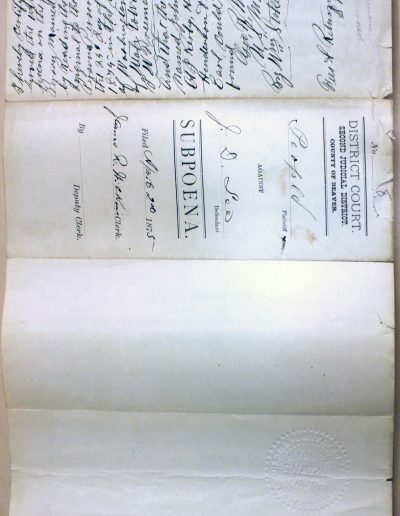 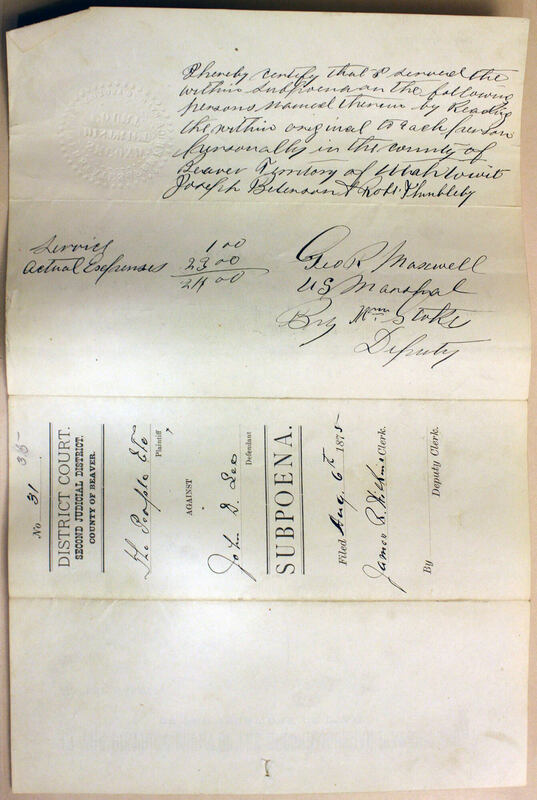 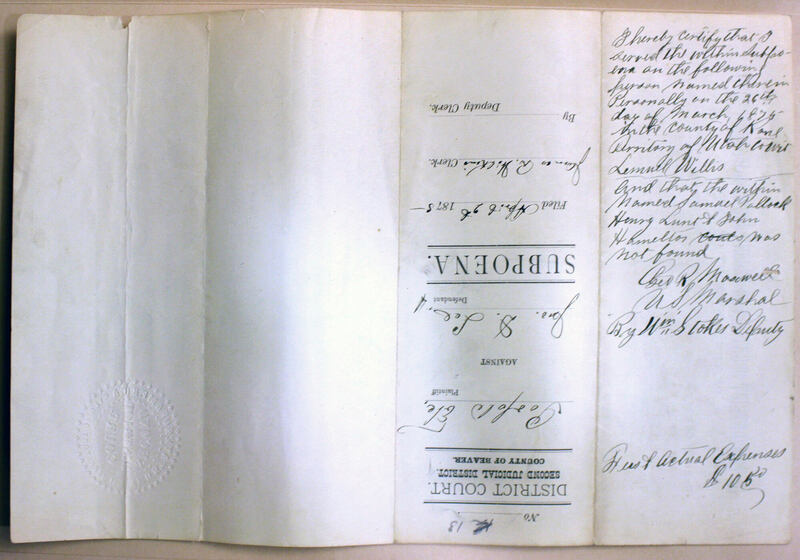 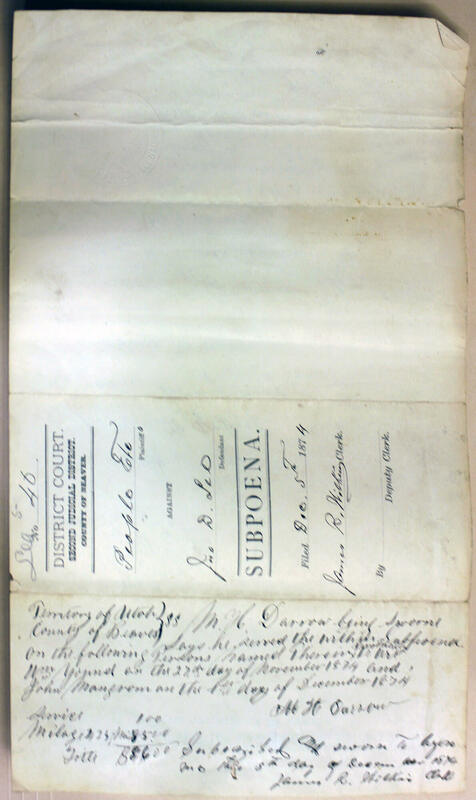 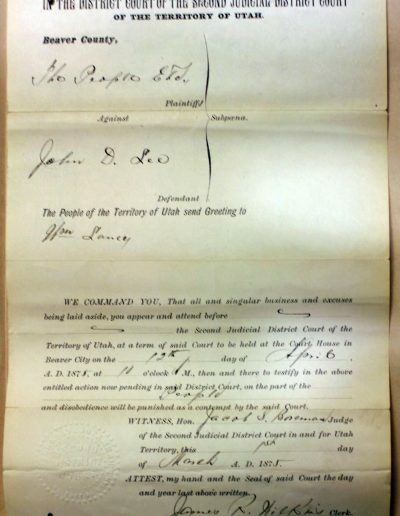 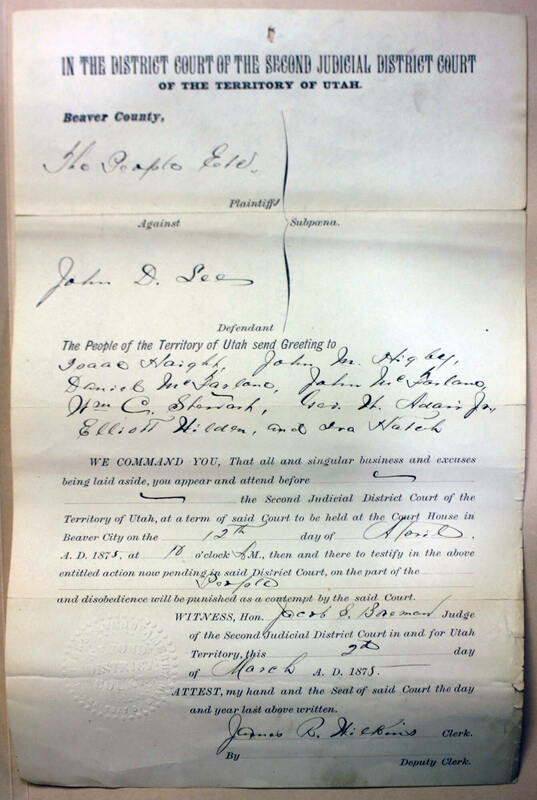 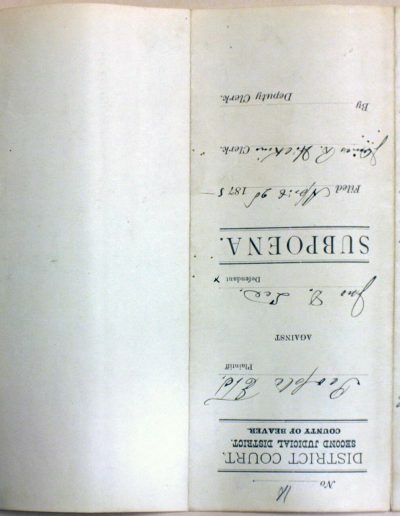 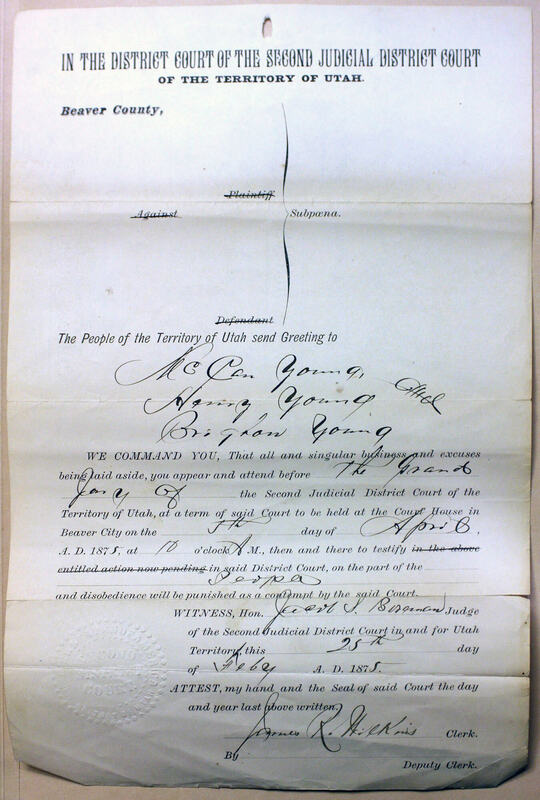 Additional subpoenas and legal documents pertaining to Lee’s first trial can be found at the Utah State Archives: https://archives.utah.gov/research/inventories/24291.html; https://archives.utah.gov/research/inventories/5319.html.